Each autumn, as the leaves change their colors and the colder weather moves in, most owners of awnings begin to consider taking their covering down for the winter. While some modern fabric awnings are fine to leave out year round, most residential awnings should be taken down ahead of snow as a precaution. Heavy snow and ice can create tears, even in the most durable fabrics, and the shade and light protection offered during the summer months is generally sought-after during the shorter days and colder temperatures of winter. If you do take down your awning, though, how should you store it? Before rolling up your awning, brush away any loose dirt, leaves or small debris that may be stuck to the surface. Afterwards, if it is dirty, wash the awning using warm water and a mild soap (non detergent). You can use a soft brush to help lift stuck-on dirt, bird droppings and grime. Cleaning the awning helps remove any pollen or mold spores that could breed while you keep your awning stored away during the off season, so be sure to do a thorough job with your cleaning. Next, you need to allow the awning to fully dry before storing it. While the wash helps remove spores and dirt that can grow and discolor or stain the awning, rolling up a wet awning could permit mildew to grow, possibly leading to degradation of the stitches or even a strange smell. Typically four hours of drying time in the sun should be enough, but make sure that the material isn’t damp before you move on to storage. Last, roll up the awning and place it in a cool, dry place for the winter season. Make sure that you keep it in a location where it won’t be in the way of your daily operations or where it might get wet or punctured. 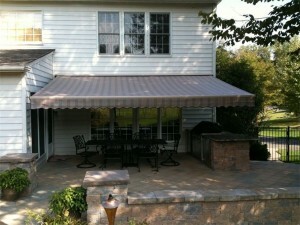 Once the weather breaks in the spring, you’ll be ready to unfurl your awning and be prepared for the warm months ahead. For help with your awning take down or more information on protecting your awning for winter, call JM Finley at 610-505-5907 or email us today! 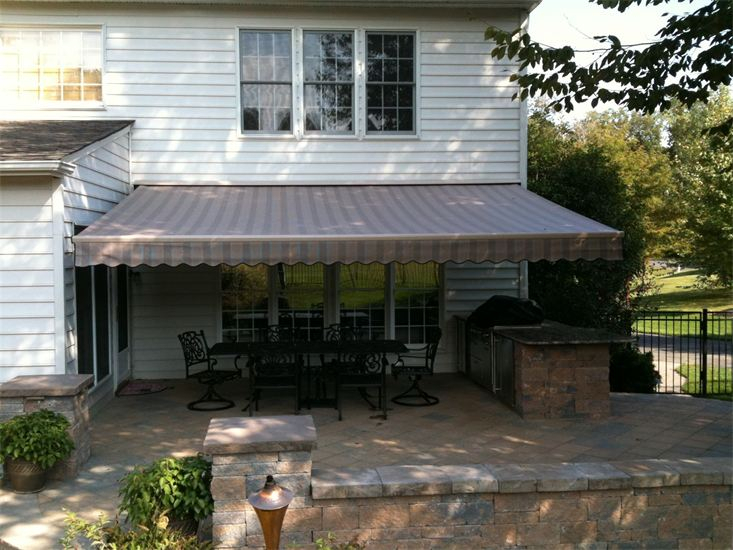 Jim Finley specializes in Awnings, Canopies and Solar Screens in the great PA area.